Tomorrow’s Cleaning Ireland is the online magazine for the Irish cleaning market. Providing you with the latest cleaning news, exclusive content, advice, products and developments, our Irish title is at the forefront of the market. 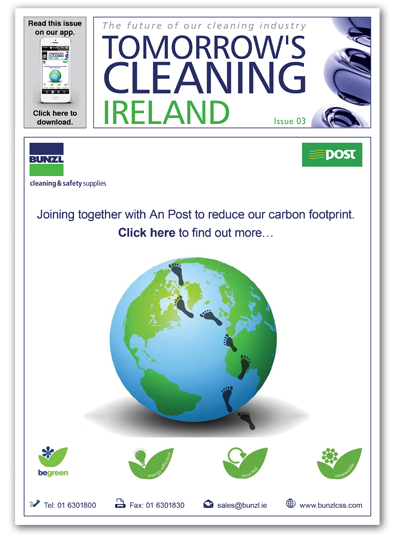 With its unique digital format, Tomorrow’s Cleaning Ireland enables you to keep up to date with the industry anytime, anywhere, with all the best feature finds, inventions and advancements in our pages.